Earth’s uncertain future defined UC Santa Cruz’s third annual Climate Science and Policy Conference on the gradual and detrimental effects of global warming. This year’s “Earth’s Climate Future: Uncharted Territory” highlighted the minimum 2 degree Celsius increase and half a meter of sea level rise we will see before the end of the century. The conference focused on how human civilization can adapt to climate change. For the first time, topics like geoengineering — a controversial science that intentionally manipulates the earth’s environment — and the effects of climate change on the spread of disease were discussed, said Dean of the Division of Social Sciences Sheldon Kamieniecki. More than 500 people, including students, the Santa Cruz community and UC staff, RSVP’d to the two-day event last weekend that was filled with panels and presentations. 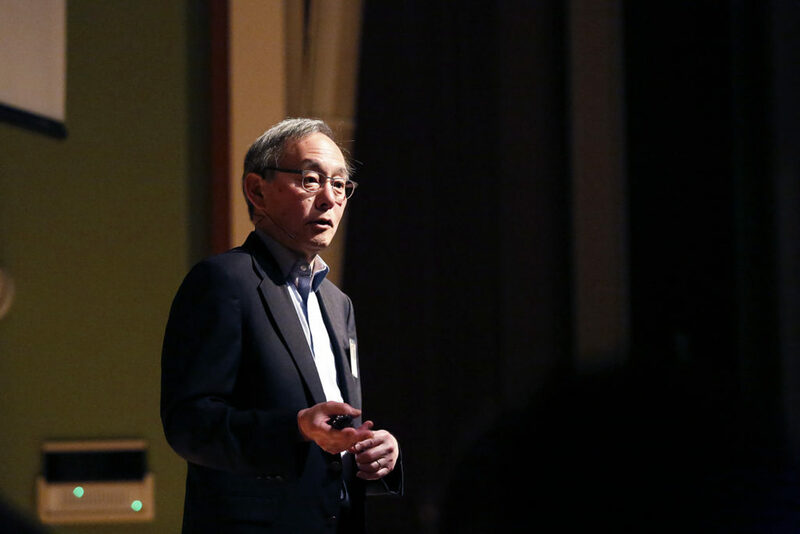 About 200 of those attendees gathered in the College Nine and Ten’s Multi-purpose Room to hear the conference’s keynote speaker, Nobel Prize winner and former U.S. Secretary of Energy Dr. Steven Chu, who ended his four-year term in 2013. During the keynote, Chu, formerly a professor at UC Berkeley and current professor of molecular science at Stanford, compared Americans’ lack of action on climate change to the government’s failure in the ‘60s and ‘70s to handle the health hazards related to cigarette smoking. He warned that the warming will cause half a meter of sea level rise by the end of the century, but there could be eight to 10 meters of sea level rise in 100 to 500 years if we continue our rate of carbon emissions, according to the International Panel on Climate Change, putting London and Manhattan underwater. Chu doesn’t believe we will stay below 2 degrees of warming before the end of the century. To stave off a further global temperature increase and sea level rise, Chu advocates for a 20 percent fossil fuel, 20 percent nuclear power and 60 percent renewable energy plan. Yet, the increase of oil production since 2013 in the U.S. due to hydraulic fracturing (commonly known as fracking) puts the U.S. ahead of oil giants like Iran, Iraq and Libya in fossil fuel production and creates a blockade of business interests when it comes to transitioning to renewables. Chu reminded the audience that untapped oil reserves have been found offshore and in tar sands across the world. He said keeping up with rising oil demand will not be a problem for at least half a century, but that older generations need to pressure the industry to reduce fossil fuels by working with the young people who face the brunt of climate change. Jacqueline Patterson, who came from the NAACP’s Baltimore chapter to speak on a panel about how climate change disproportionately affects underrepresented communities, emphasized the necessity to have a “civil and human rights lens” on climate change discussion. As fossil fuel burning continues to correlate with all-time high levels of carbon dioxide in the atmosphere, NASA estimates a CO2 level of over five times the natural amount in the future. “The most innocent victims of what we are doing are the poorest people who contribute nothing to climate change and the grandchildren of the great-great grandchildren who will have to suffer the consequence of our smoking habit,” Chu said.